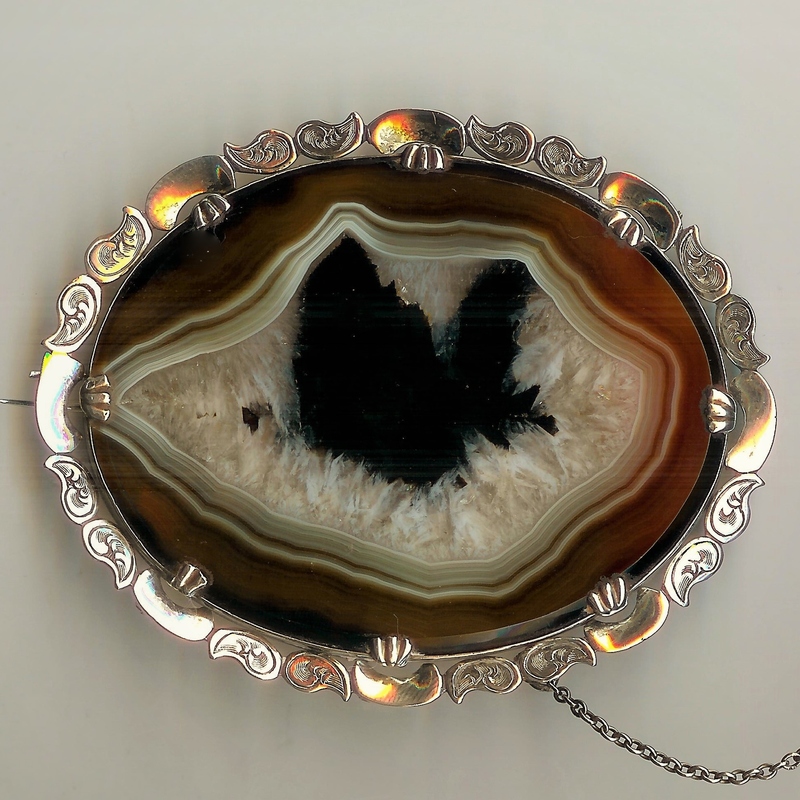 Large Old Silver & Agate Brooch with Safety Chain [SH5711] - £295.00 : loveVintageDiamonds.com, Your Vintage Diamond Dreams Come True! 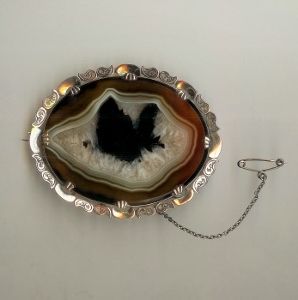 This large brooch has an oval agate as its main feature, which is interesting both in colour and patternation, and is held in place by eight triple-headed claws, albeit one of them has sustained some slight damage such that only two of its claw heads remain, but this does not compromise how securely the agate is set in any way. 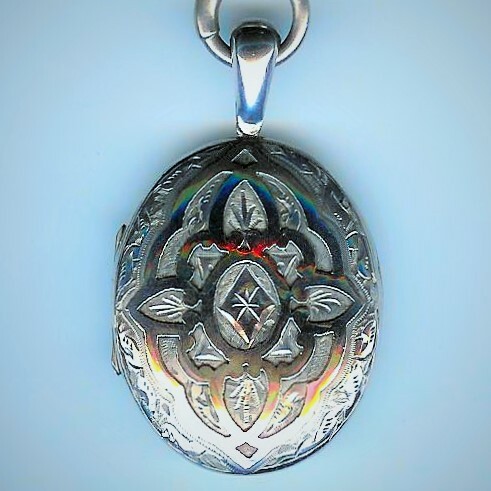 The silver surround is a pretty arrangement of fancy-shapes, mostly hand-engraved, and with every third one being plain. 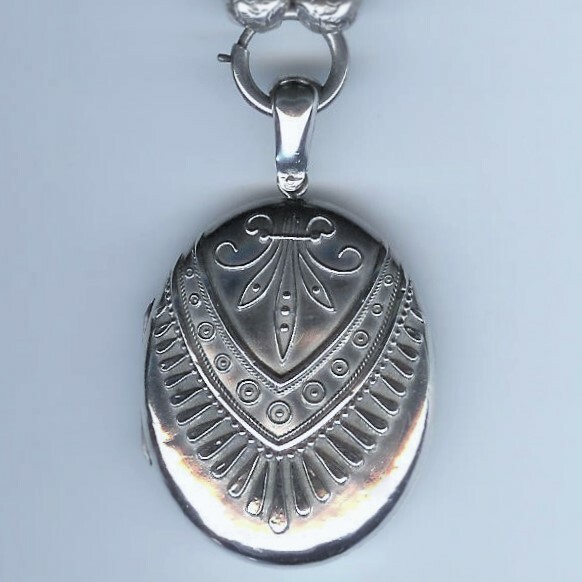 There is a large silver pin fastener on the reverse of the brooch, which has a slight 'kink' near the end, but functions perfectly well as the fastener for this brooch, which also benefits from the additional security of a safety chain that is already fitted (though this can be removed if preferred). This is certainly a striking piece and will no doubt attract many compliments! The brooch has an overall weight of approximately 37.2gms.